Elderly Parents and Alcohol- Why Worry? Does that surprise you? Over the holidays geriatric care managers and afmilies of people need to worry about alcohol. Substance abuse or dependence, including alcohol use, drug misuse, and nicotine use, can have severe negative physical, cognitive, and psychological consequences for older adult. Geriatric Care manager screening for this is essential, not only to detect the problem, but to identify potentially harmful interactions with other physical and mental conditions that could lead to high blood pressure, falls, or memory loss. Improper substance use can increase comorbidities and interfere in the treatment process, and therefore increase medical complexity. Physical Elder abuse can happen during the holiday season , a joyous season also fraught with family tension. Family caregivers are of the most vulnerable. . They teeter on a thin ledge where they can slip on the knife’s edge of elder abuse. Neglected, untrained, unpaid yet representing 78% of the long-term care system, family caregivers are stress on steroids. You may personally know what I mean. Most kin, in spite of the constant worry and tension, do a heroic job. Yet certain groups of caregivers are vulnerable to cracking up and some are predisposed to a cycle of violence. How do we know who might be a perpetrator? Let’s take a step back and see who is a caregiver. The aging 21st century family is no longer the nuclear family made up of 50’s TV Ozzie and Harriet, and their famous kids Ricky and David. Divorce and long distance have shattered what we knew of that family. Now the aging family and its’ care providers are not just blood relatives. It’s not just David who cares for Harriet and Ozzie. Ricky, if he were still alive, might be divorced or both he and David might have new wives .So we have multiple caregivers and grandchildren who are steps, halves and fictive kin. Or you may have partners caring for older family members, friends, neighbors, and significant others the aging family .The family itself has washed over its banks just like the Mississippi flooding New Orleans. What are some triggers to elder abuse in families? The number one detonator of elder physical or financial abuse is bad past relationships. That miserable family past might harbor child abuse, child neglect, child abandonment, or alcohol or drug use involving the now aging parents. When the some inner barrier that holds back pain cracks, it can result in violence and deceit. If the family of 50 years ago suffered some searing hurt which carries through to the present, that old wound can turn into a fist or a slap in the here and now. So some adult children and family caregivers are horribly vulnerable to violence in the present aging family. In a susceptible family caregiver, what are some care receiver triggers that can make them snap. If you have concerns about caregivers and elder abuse., call you local Adult Protective Services . 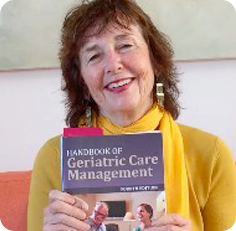 I have also included a chapter a caregiver assessment in my text Care Managers and the Aging Family, Jones and that has a section on caregivers and elder abuse. You can order the book on my website as well.